My former suite mate invited me to trivia night called Geeks Who Drink Pub Quiz at Texas Theater and her requirements was for her Asian friends to dress up as school girls and boys. I’m definitely not one to pass up an opportunity to channel my inner Britney Spears so I put this outfit together. The t-shirt is Harajuku. The cardigan is DKNY. The High waist bow plaid skirt is Wet Seal. The collar is DIY Bead Peter Pan Collar. 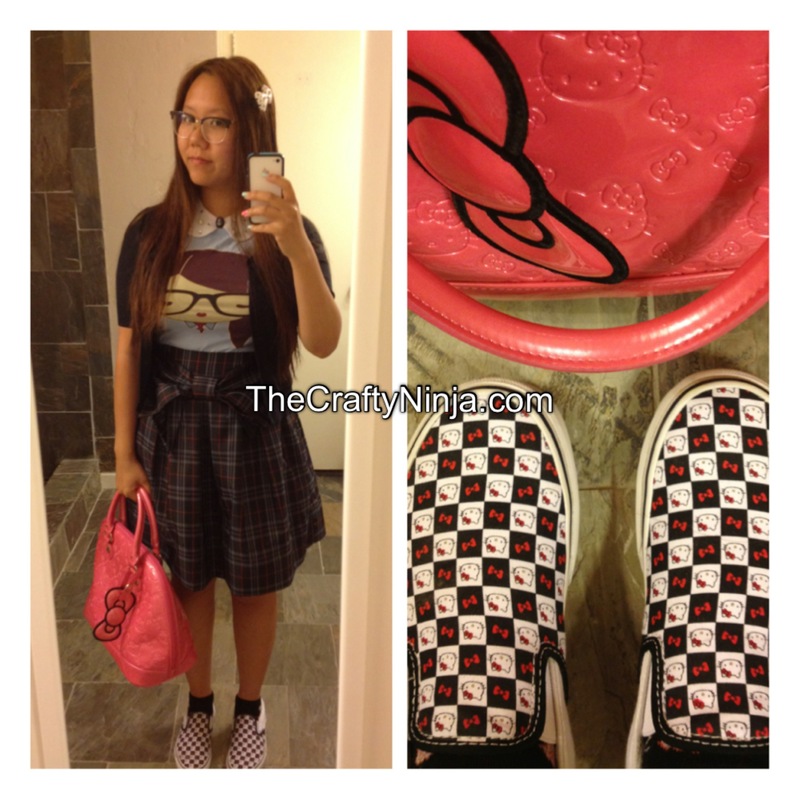 Hello Kitty embossed patent leather handbag and Hello Kitty slip on Vans. The trivia part was difficult and uninteresting, but a definite bonus was to hang out with my lovely gal pal. 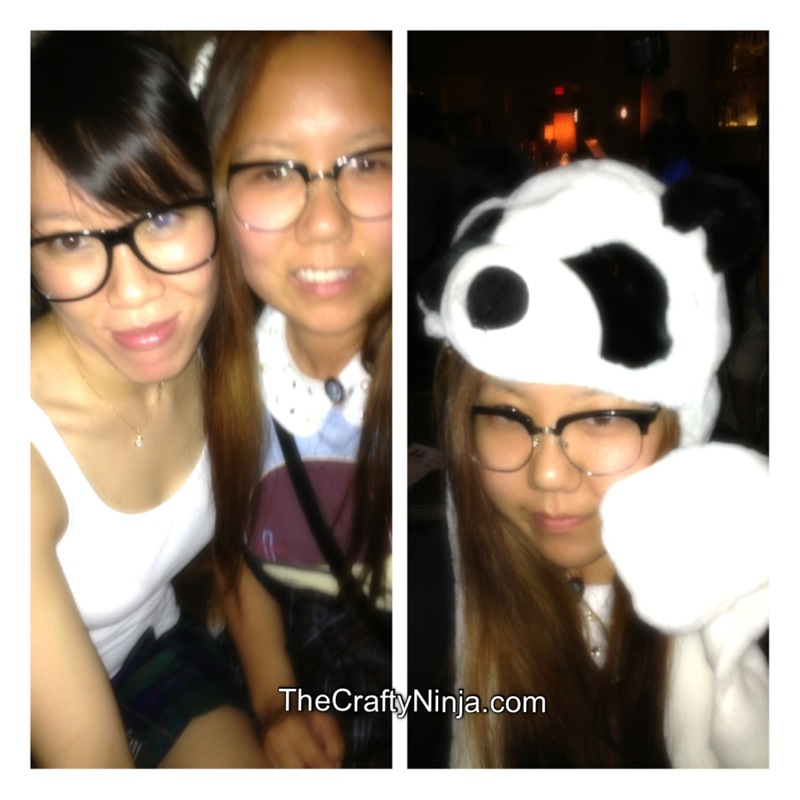 Pandas, Asian school girls and boys, and Trivia… a fun out of the box experience.